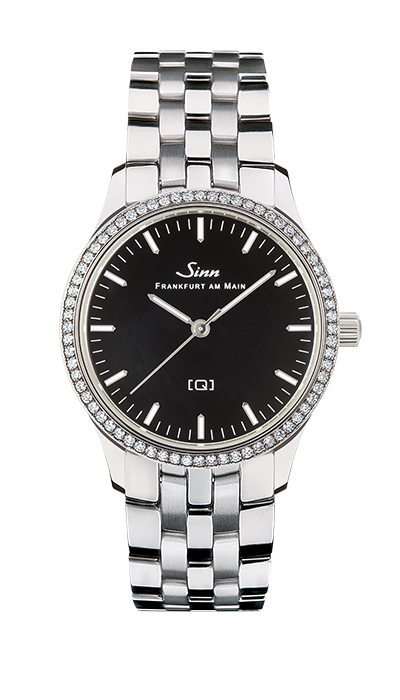 Sinn’s 434 TW68 WG S ladies’ watch is a real piece of jewellery, perfect in combination with many items of clothing. This distinctly feminine and elegant timepiece is an extraordinary blend of purity and timelessness. 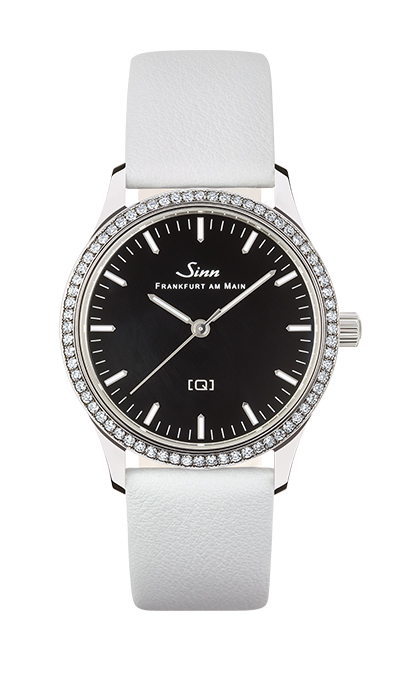 The dial is encased in a fine decorative bezel of 18-carat white gold with 68 precious diamonds in Top Wesselton quality, providing an elegant touch of finesse. 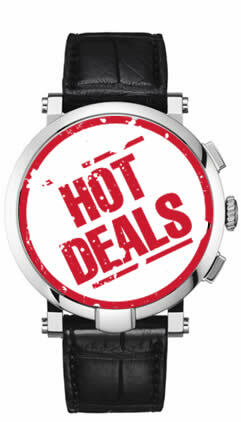 Other design features of these watch creations include the black electroplated dial with sunburst decoration and the appliqués, which have been meticulously attached by hand to show the hours. 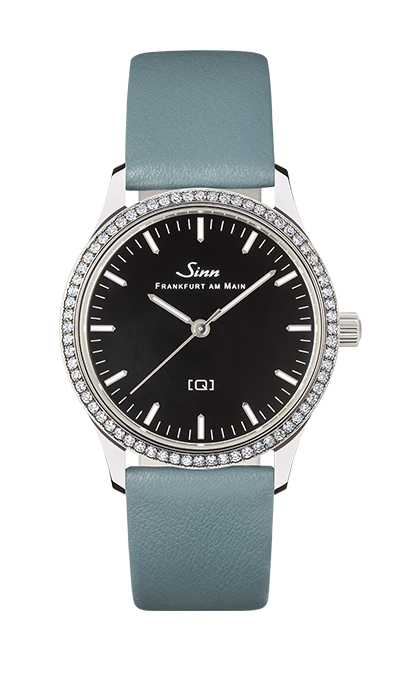 Sinn’s high technical standards also meet today’s expectations of a ladies’ watch. In analogue quartz movements, the train wheel is driven by a so-called stepper motor. Rather than turning continuously, this little electronic motor only rotates every second by a small degree and in doing so, generates an electromagnetic pulse. 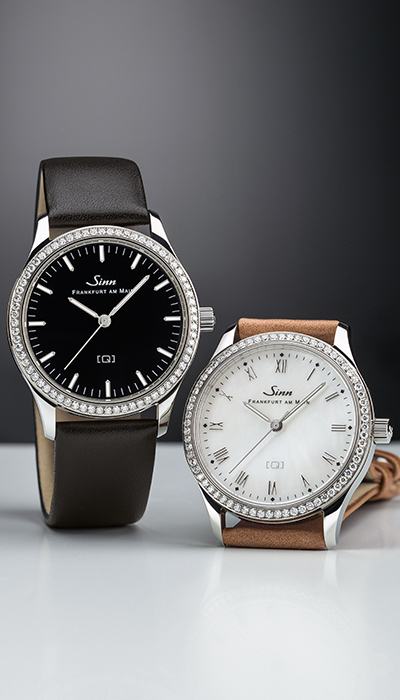 In Sinn models featuring the symbol on the dial, the electromagnetic radiation (pulse) emitted by the movement is minimised because the quartz movement has a special alloy sheath which is designed to absorb the exact frequency of the movement radiation. 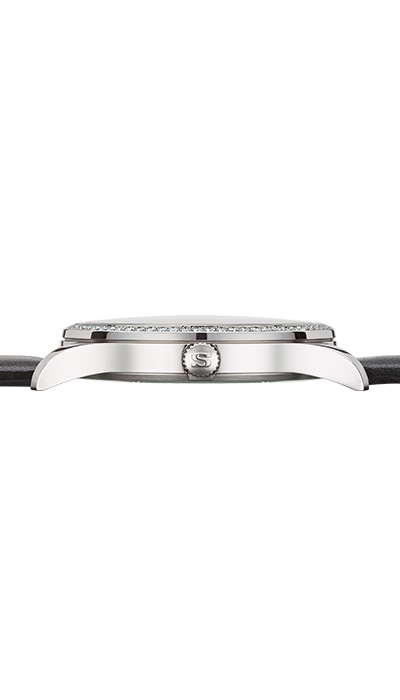 Thus, the radiation emitted by the movement is ‘trapped’ in the case, preventing it from escaping. 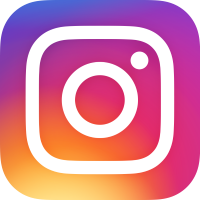 Over the years, the effects of electromagnetism and the impact of electromagnetic radiation on the environment have been the subject of various studies. 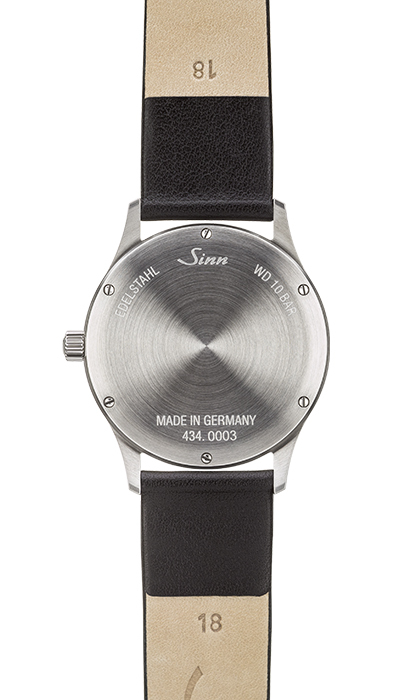 The objective of Sinn’s Q Technology is to minimise the effect of electronic devices on personal health. 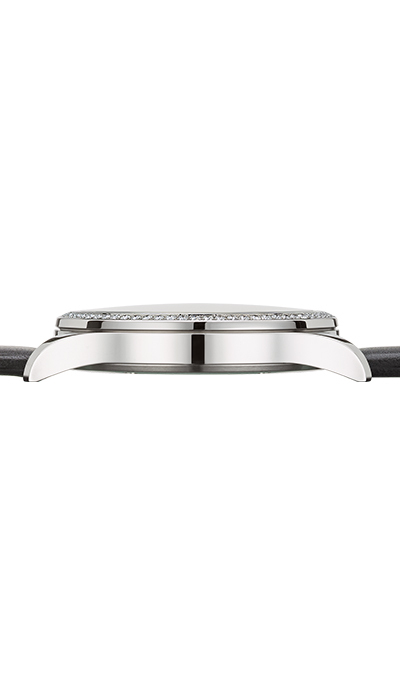 Thankfully, unlike many household devices, quartz watches emit only weak electromagnetic radiation. However, some people are highly sensitive to such radiation and a watch is worn directly on the body for an extended period of time. 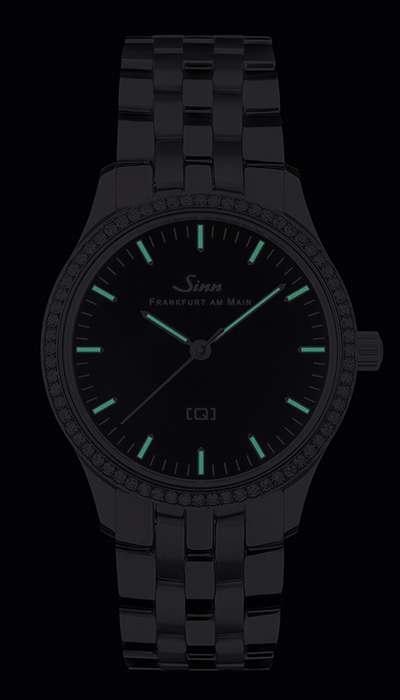 Sinn’s Q Technology offers shielding to cancel out the negative effects and enhance protection.